After last week's long, chilled out weekend it was back to routine with the usual rude awakening. It was at least sunny for the first couple of days and Little Miss and I enjoyed a slow, chatty walk home from school one day whilst Bigger Miss was at an after school club. We admired the wild flowers and had fun blowing the dandelion clocks. The next day Bigger Miss had her Hostess Badge to do at Brownies which entailed a certain amount of running around looking for teapots, sugar bowl and milk jugs. The flowers however were easy, we just picked a few on the way home from school and a few from our garden, put them in a glass and there, we had a pretty posy. We have also had team colour day at school to raise some hamper stuff for the Spring Fair and Little Miss was very proud to win the poster competition for her class - gaining 10 whole housepoints in the process. Which along with 4 housepoints for writing a 4 page fantasy story has to be a school record for the most housepoints in a day I reckon! Picking dandelion clocks on the way home from school. 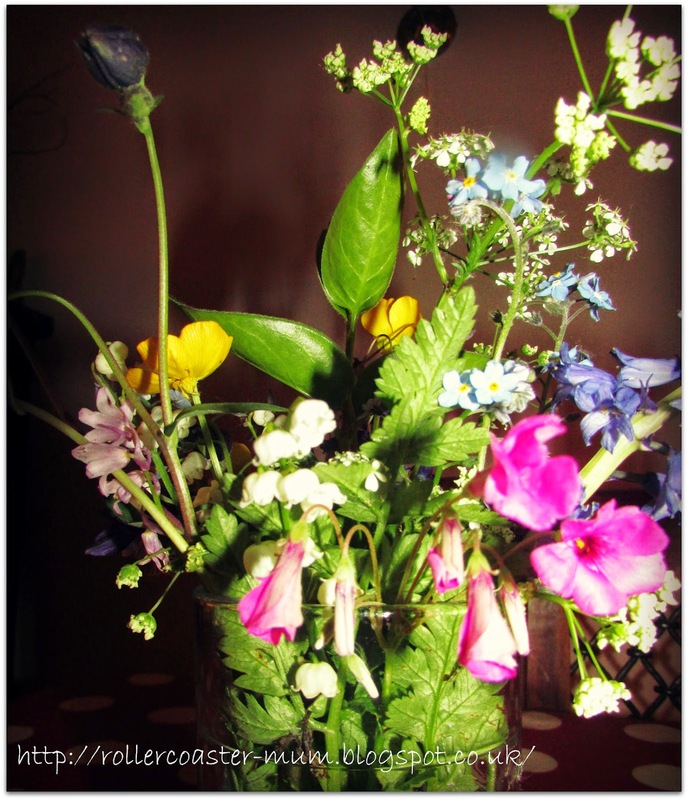 Bigger Miss's posy for her Brownie Hostess Badge - think we should pick flowers like this more often. I came home one afternoon to find our neighbour had left a bunch of lilies on the doorstep, she had been given a bouquet of flowers and is allergic to liles so she thought I might like them and very beautiful they were too. 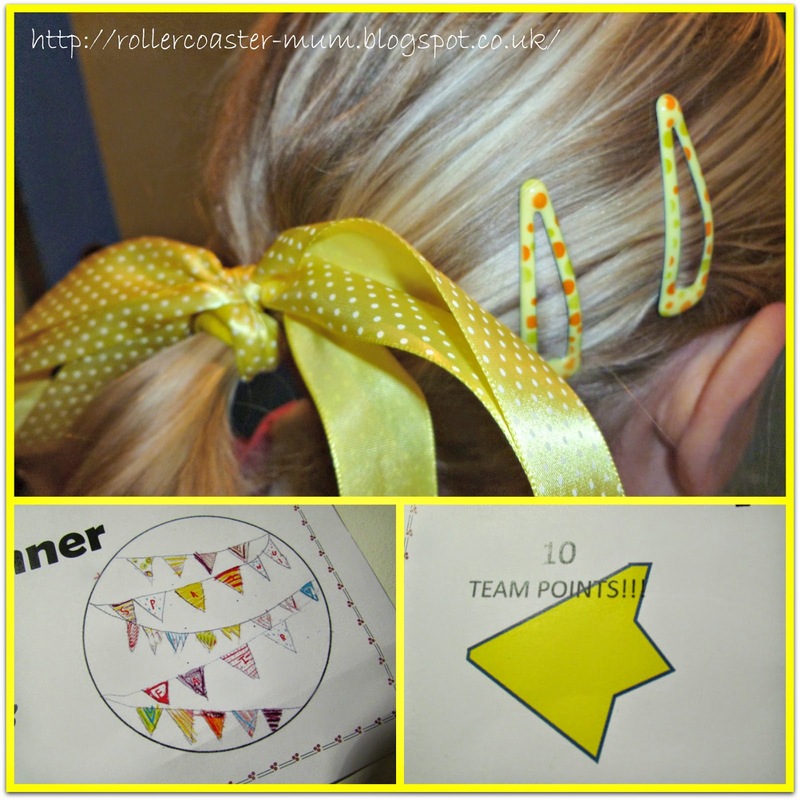 Little Miss's hair accessorised with yellow for Team Colour day at school when she also won the poster competition for her class and got 10 team points - yay! On Saturday we went to a free annual event for the under 11's called Grow For It and organised by the Royal School in Hindhead and featuring Alan Titchmarsh. This is the second year we have been and there is loads to do - a really good free afternoon of entertainment which I will try and do a proper post on later in the week. 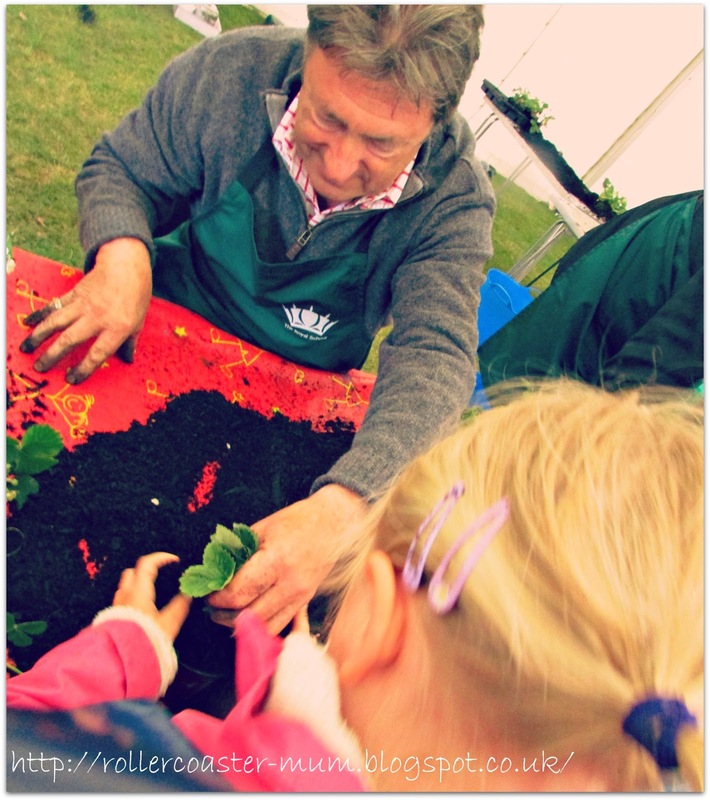 Here is Alan Titchmarsh himself helping Little Miss plant a strawberry plant. And finally I have captured a rainbow on film - not a whole one but it is a rainbow! 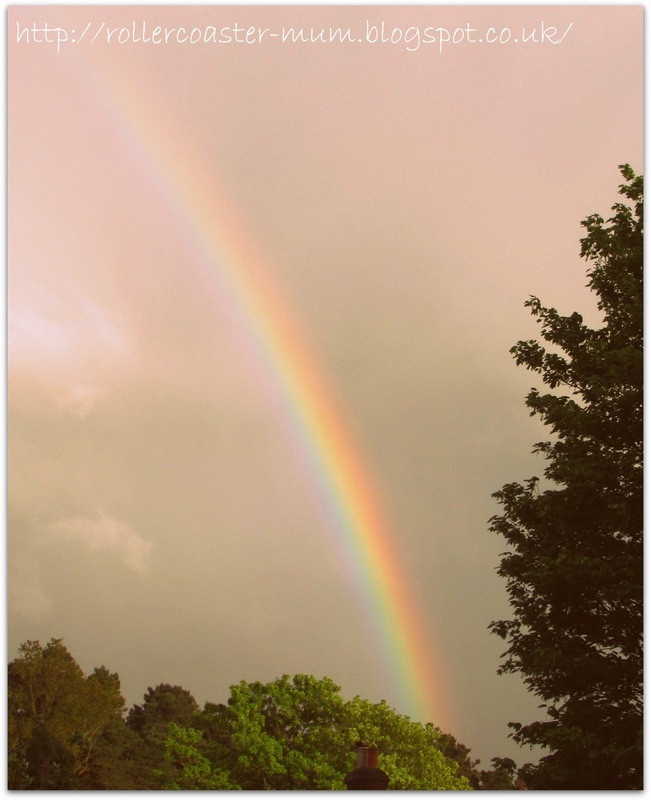 It's always special capturing a rainbow! And what a gorgeous posy collected. 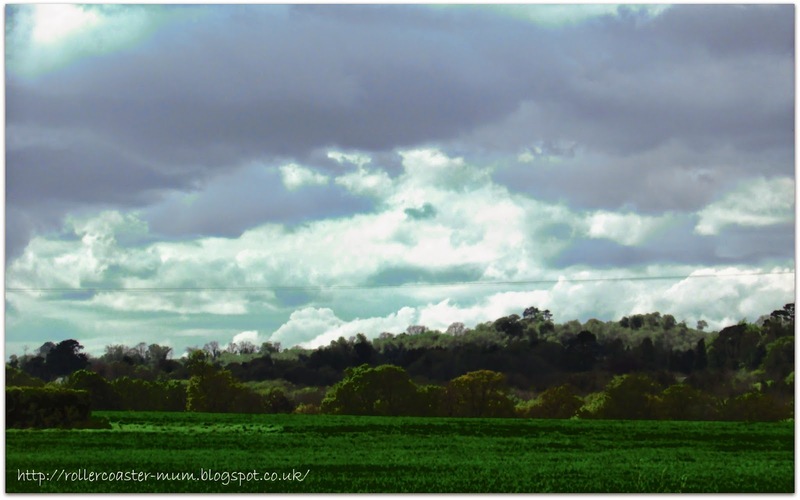 Sounds like you must live somewhere near where I grew up - Haslemere. 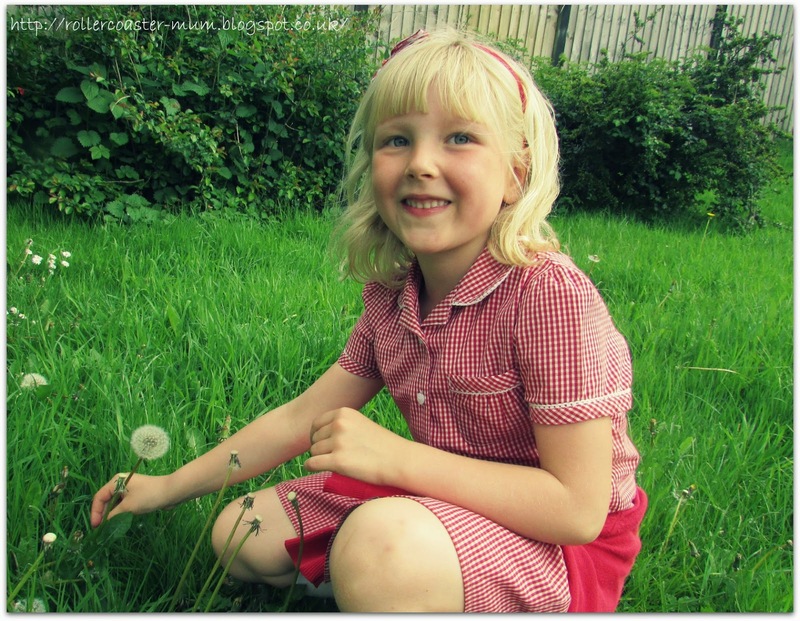 I love the picture of your little girl blowing the dandelion clock. What a great week with all those house points! Busy week, well done to your daughter and hope you other daughter passed her badge (that takes me back!!) But never mind all that, you met Alan Titchmarsh, wow I'm so jealous he's a gardening legend. My mother hates dandelions, but I actually like them. They are fun to take photos of! Very well done on the 10 points. And how pretty are those flowers! Well done Little Miss for 10 points! It looks like you had a fun week with all those lovely flowers! 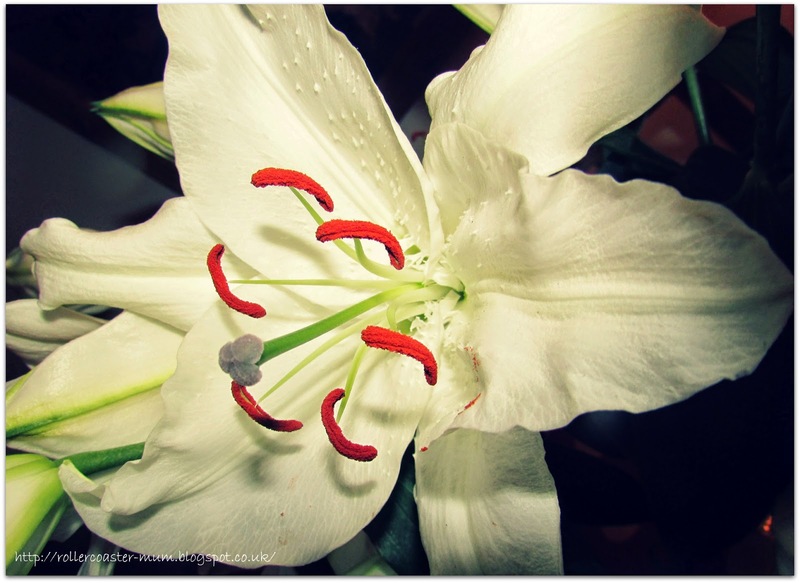 The photo of the lily is fabulous! I love the picking and blowing of the dandelion clocks. 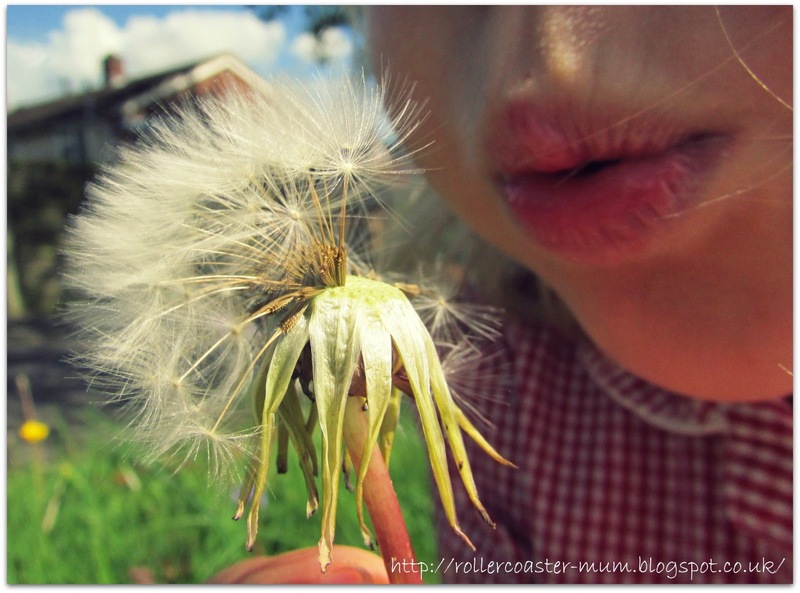 The dandelion blowing photograph is just perfect, goes to show focusing in on one area can be so effective sometimes.